A steep hillside oasis in Singapore, a garden distinguished by shape and light in Marrakech, a haunting tree museum in Switzerland—these are just a few of the extraordinary outdoor havens visited in Gardenlust. In this sumptuous global tour of modern gardens, intrepid plant expert Christopher Woods spotlights 50 gardens that push boundaries and define natural beauty in significant ways. Featuring both private and public gardens, this journey makes its way from the Americas and Europe to Australia and New Zealand, with stops in Asia, Africa, and the Arabian Peninsula. Along the way, you'll learn about the people, plants, and stories that make these iconic gardens so lust-worthy. 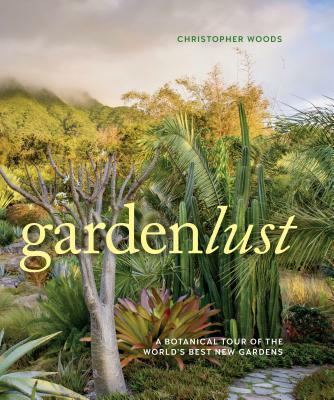 As inspiring as it is insightful, Gardenlust will delight your passion for garden inspiration—and the many places it grows. Christopher Woods began his gardening life at the Royal Botanical Gardens, Kew. He was director and chief designer of Chanticleer, transforming it into one of America’s most exuberant, romantic, and flamboyant gardens and made it renowned for creative and innovative techniques. He has served as vice president for horticulture at the Santa Barbara Botanical Garden; director of the Van Dusen Botanical Garden in Vancouver, Canada; executive director of the Mendocino Coast Botanical Garden; and director of the Pennsylvania Horticultural Society’s Meadowbrook Farm.